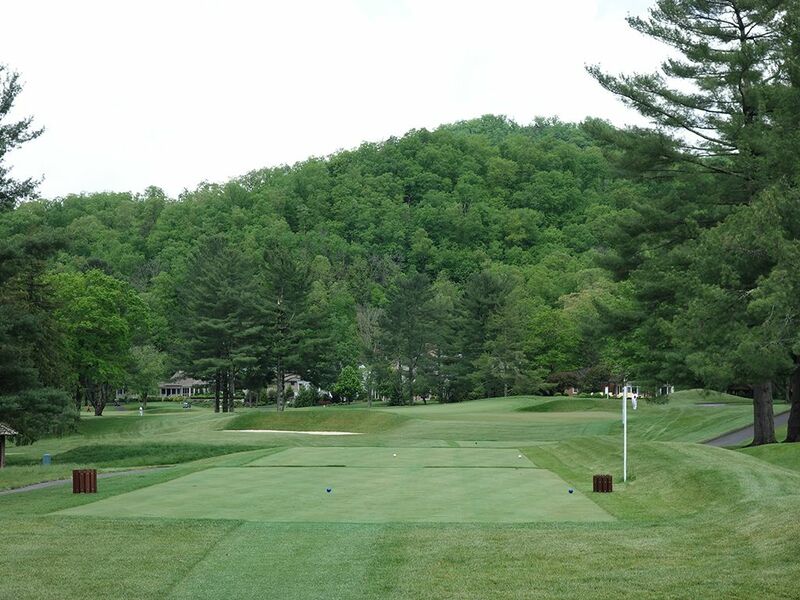 Course Website: Official Website - Visit The (Old White TPC) Greenbrier's official website by clicking on the link provided. 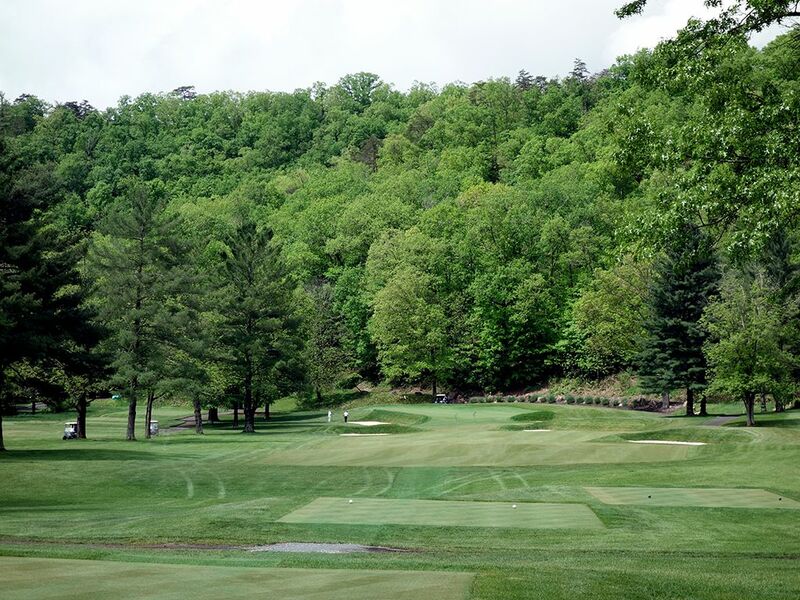 Accolades: Ranked 2nd in West Virginia on Golf Course Gurus' Best in State list. 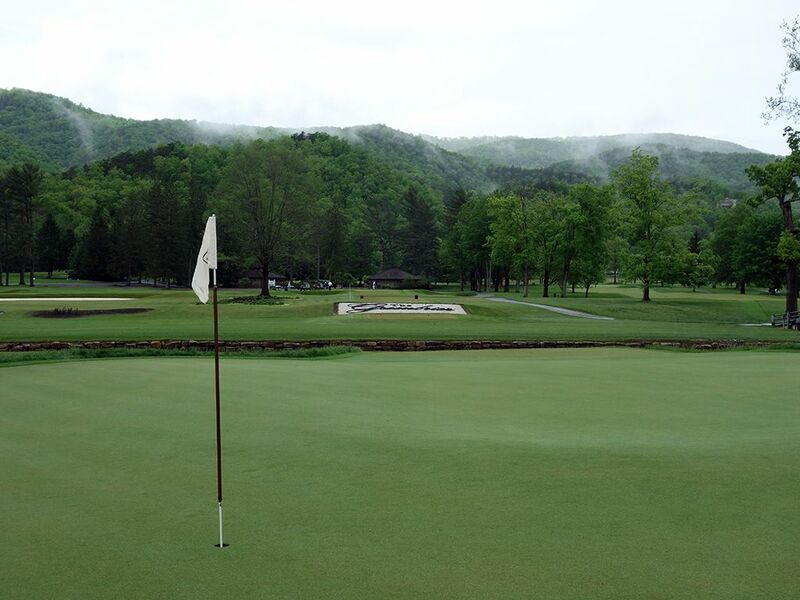 What to Expect: Known as America's Resort, The Greenbrier is a sprawling resort located on 11,000 acres of West Virginia countryside highlighted by its flagship course; The Old White TPC. 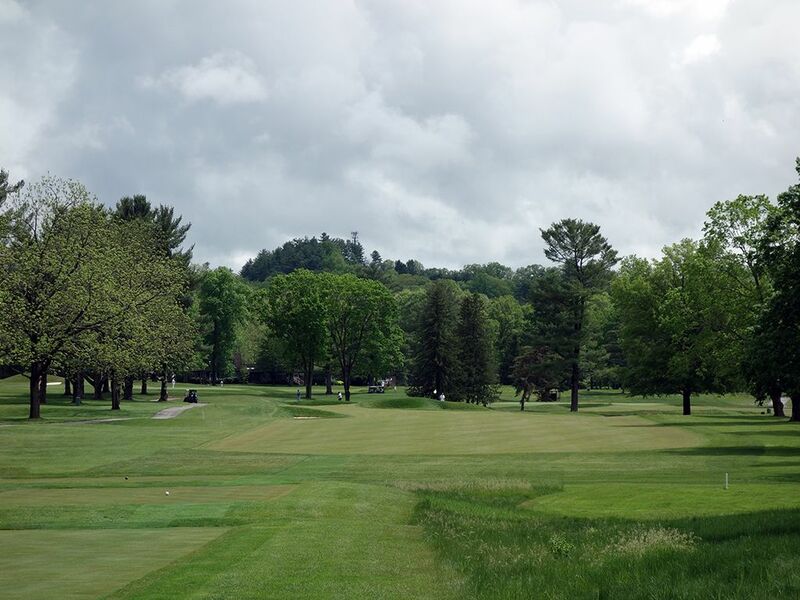 Designed by the father of American golf course architecture himself, Charles Blair Macdonald had a relatively flat property and blank canvas in which to construct the course and interpret his famous template holes on. The one-shotters are his best work with Biarritz, Redan, and Eden leading the way while unique takes on Alps and Punchbowl are fun as well. 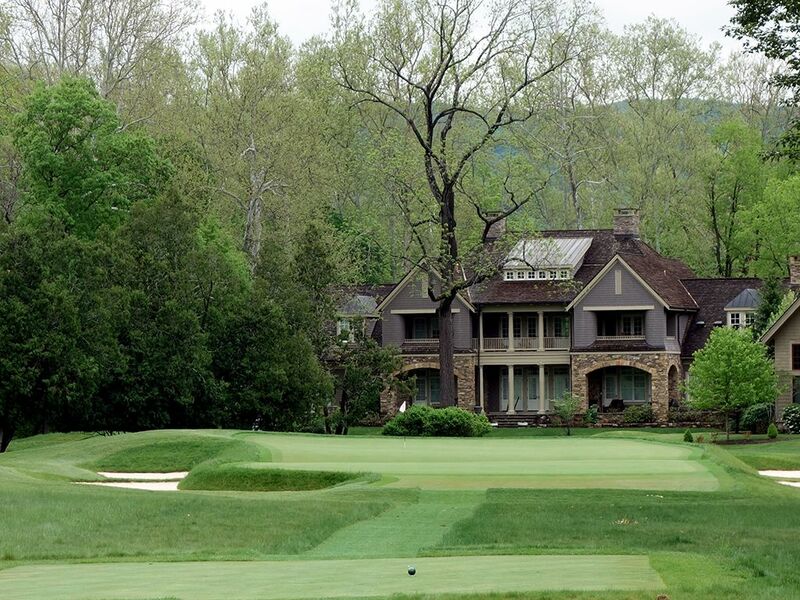 Uncommon at any course and virtually unheard of on one that hosts the PGA Tour annually, the routing finishes with a par three which is probably a fitting ending to a course that doesn't feature a par five until the 12th hole. Players that choose to walk instead of ride in a cart will discover that the course is a relatively easy stroll made easier by the company of a caddie. 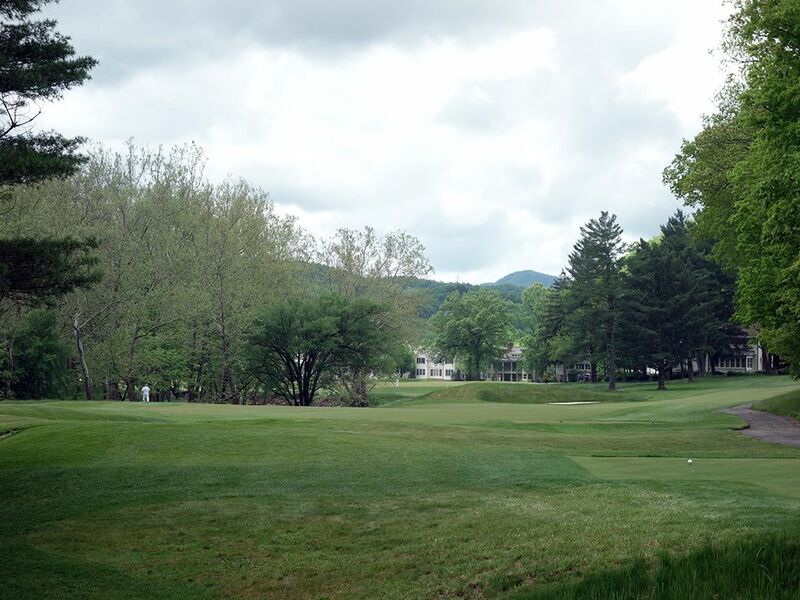 Compared to other PGA Tour venues the course isn't terribly difficult which is why you often see low scores at The Greenbrier including Stuart Appleby's remarkable 59 enroute to a victory in 2010. A tour of the clubhouse reveals tributes to Sam Snead, the course's first head professional, and to past Ryder Cup teams. Service is top shelf everywhere you go and a complimentary shuttle is provided to get you anywhere on the property. 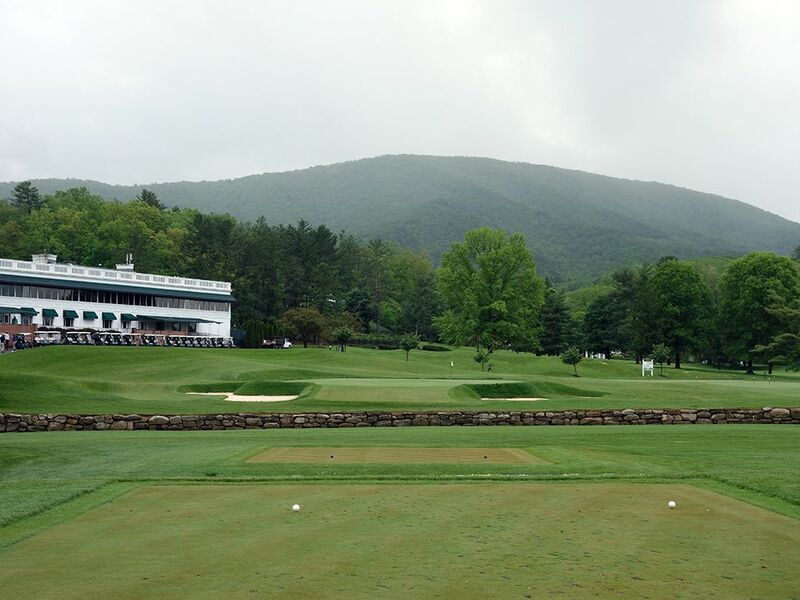 A stay and play at The Greenbrier is a pure treat and reason enough to make the trip to West Virginia. Signature Hole: 18th (Home) Hole – 179 Yard Par 3 – With East Lake swapping nines, Old White TPC was going to be the only course on the PGA Tour that finished on a par three until Keene Trace joined the schedule as the 2018 host of the Barbasol Championship. While championship golf doesn't generally like finishing on a par three (see Congressional's rerouting of the Blue course for the U.S. Open), Old White is hanging in with a one-shot finisher. 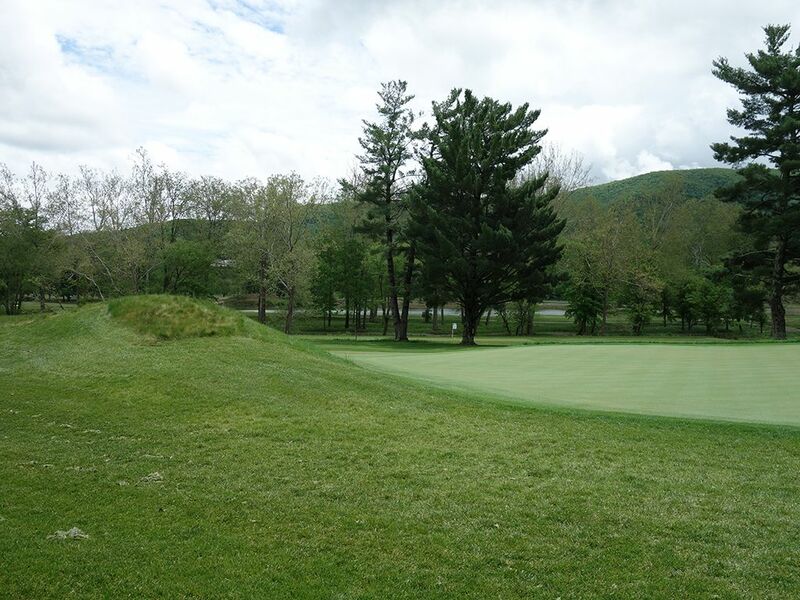 The drama on this hole is created by requiring a forced carry over Howard's Creek to a green characterized by a large menacing horseshoe ridge that dissects the putting surface into some testing scenarios. 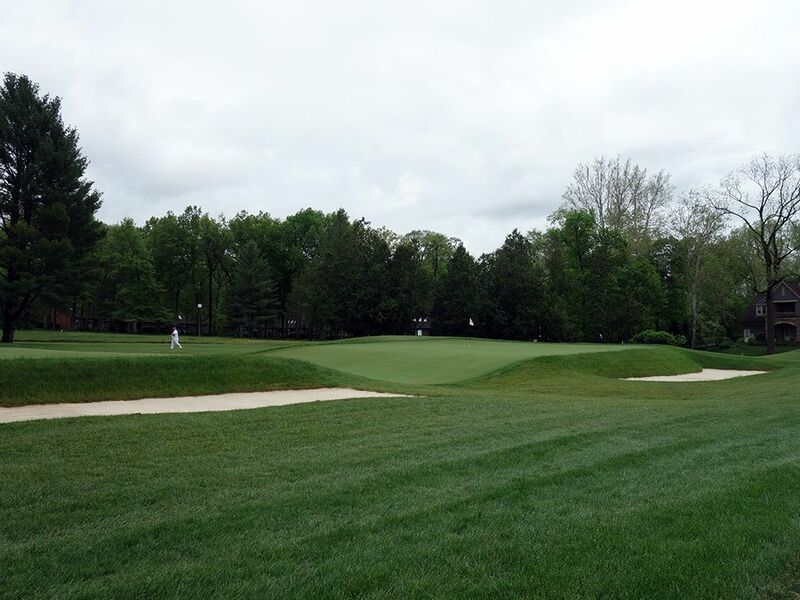 With four bunkers encircling the green, a highly skilled short game will be required to save par if you miss the green. Best Par 3: 3rd (Biarritz) and 8th (Redan) Hole – 208 and 236 Yards – It is all about pin placement on the lengthy Biarritz green that players discover early in their round. With the flag in the back third players have to hit a running shot, or carry it over, the “Valley of Sin” swell through the center of the green. Getting on the wrong tier of the putting surface will require exceptional putting skills to get down in two strokes. Fashioned after the 3rd hole at the former Biarritz Golf Club in France, this is one of the most famous par three designs in the world. 8th hole (Redan) - 236 yards - The front nine features two of Macdonald's best par threes he has fashioned. 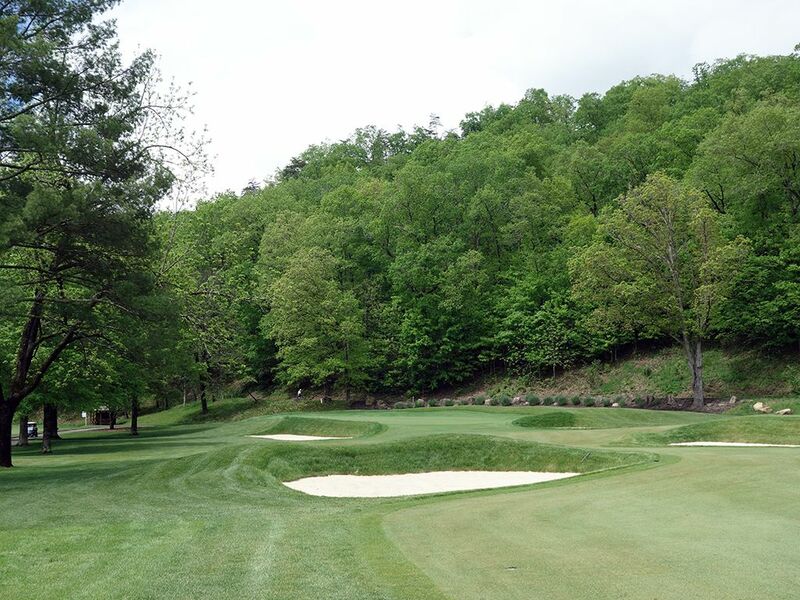 Modeled after the 15th hole at North Berwick in Scotland, this Redan hole is shaped beautifully to work a ball from the right side of the green across the slope to pin placements that are always left of center. Missing this green still allows for some creative ways to get up and down by utilizing the severe slope in the putting surface, even from the deep bunker fronting the green. Best Par 4: 9th (Punchbowl) Hole – 413 Yards – The final hole of the back nine is a proper par four that plays back to a Punchbowl green. The ideal tee shot goes up the right side and carries the fairway bunker 250 out on that side. From this position you are in ideal shape to attack the flag with the generosity that a Punchbowl green offers with its inward sloping edges. Players going up the left side need to stay short of the 300 yard fairway bunker before being faced with an approach shot over a deep greenside bunker. This Punchbowl green isn't nearly as pronounced or generous as other Macdonald and Raynor courses so you need to be a little more dialed in. 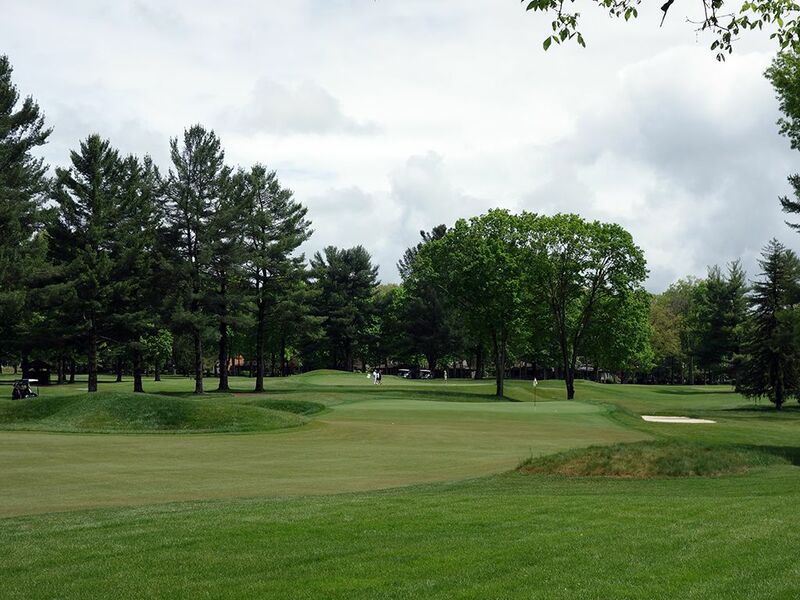 Best Par 5: 12th (Long) Hole – 570 Yards – Par fours are the historical root of the game in golf; hit a tee shot, hit an approach shot, and take up to two putts. Adding or reducing the number of requested shots through three and five pars have become more common over time with some nines featuring three of each type of par. But par fours are the original way to play which is likely why Old White doesn't see a par five until the 12th hole and only one par five afterwards. The only other course I recall getting this late into the round without playing a par five is at another Macdonald gem, Yale University's course that doesn't see a par five until the 16th hole. 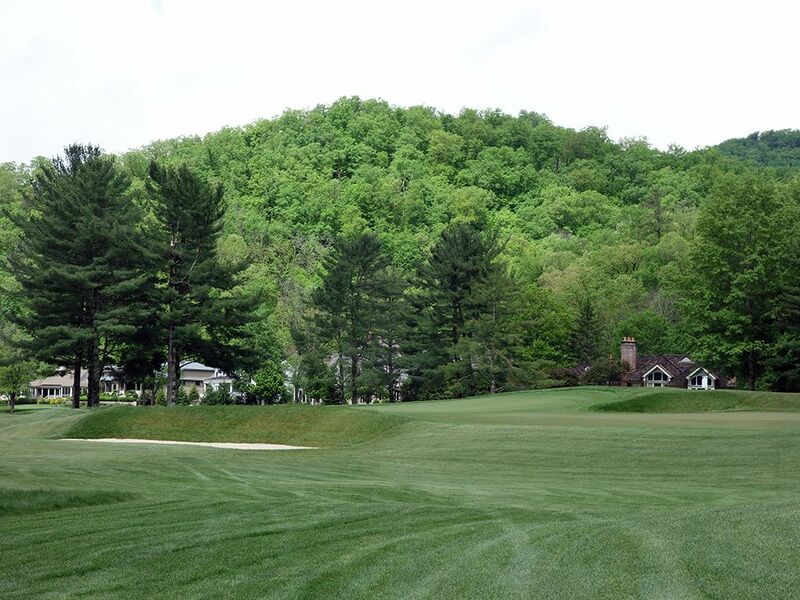 At Old White the 12th requires a tee shot that avoids the bunker on the right side of the fairway 250 yards away. 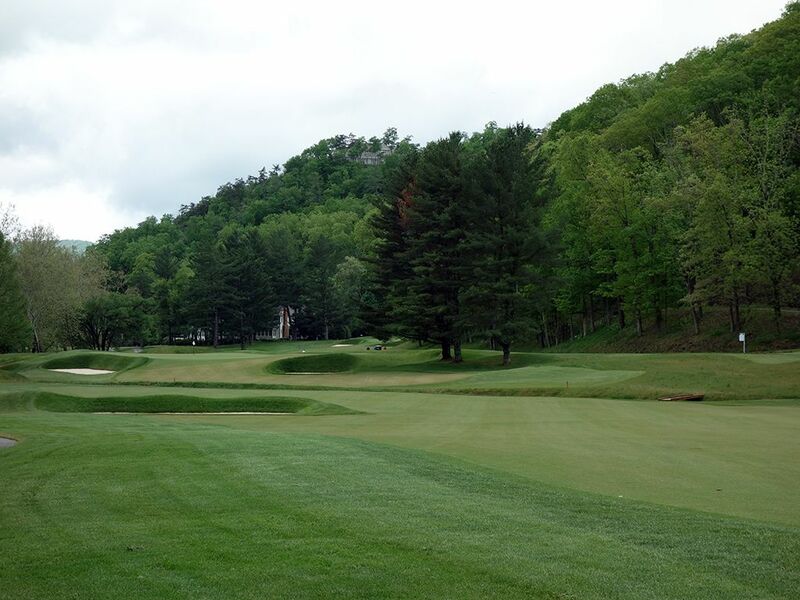 Players that get passed it with their tee shot will have to decide whether to take a rip at the green in two or not. A creek angles across the fairway as far as 100 yards from the green on the right side and as close as 30 yards from the putting surface on the left side. As such, the ideal play is a draw that carries the creek early and works its way towards the green while players electing to lay up will find the most room up the left side. The raised green features a false front which is quick to reject shots that don't come in with enough momentum so make sure you commit to the swing you are going to make. The “Long” design concept is from the 14th hole on the Old Course at St. Andrews in golf's homeland of Scotland. 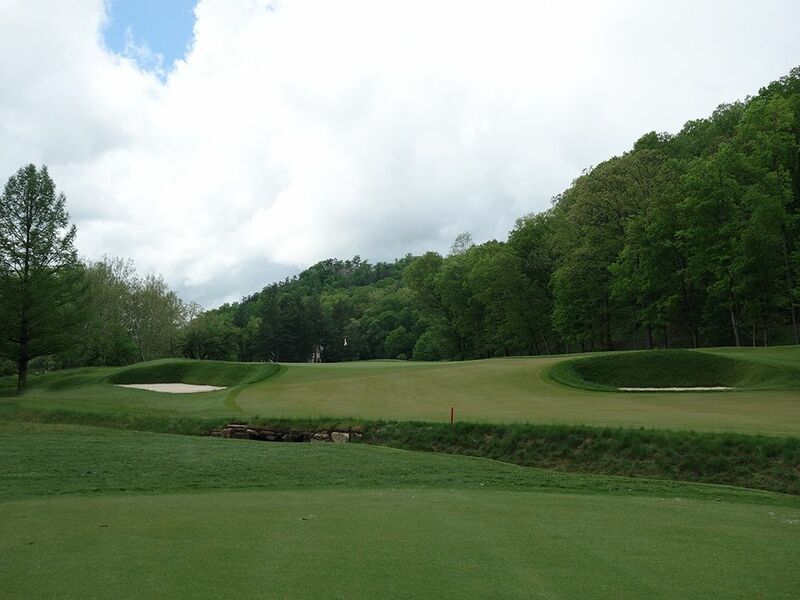 There aren't specific design features the hole has like Biarritz, Redan, and others; it just has to be a long hole that is generally fairway straight. Birdie Time: 10th (Principal's Nose) Hole – 382 Yard Par 4 – Macdonald offers up the shortest par four on the course to start the back nine and a great way to get a stroke under par. The Principal's Nose bunker complex sits just over 300 yards away in the middle of the fairway and can partially block the view of the green depending on how close you get to it. 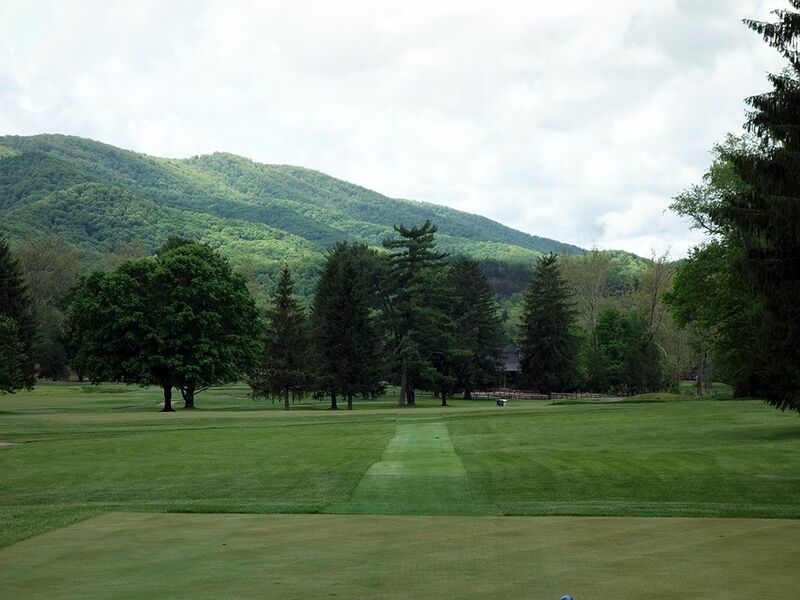 However, any tee shot on either side of the fairway will provide a clear look at the green with approaches from the right holding the green better as it will counteract the left-to-right slope on the putting surface. The opening to the green is wide open and thus generous at accepting aerial or ground shots, so every player should feel confident when attacking the flag. Bogey Beware: 13th (Alps) Hole – 496 Yard Par 4 – The longest par four on the course and Old White's steepest test, Macdonald has a unique take on the Alps feature on this hole. The prime tee shot finds the left center of the fairway by avoiding Howard's Creek on the left and a forest of trees on the right. 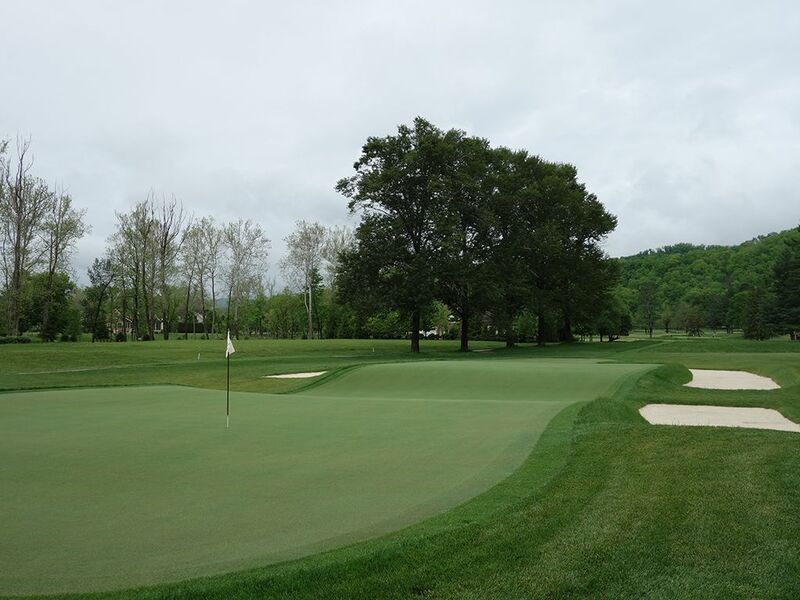 From this left center position players will have an unobstructed view of the raised putting green while players that hug the bend on the right will be left with a blind approach over the Alps hill. Getting home in two here is an impressive feat. Inspired by the 17th hole at Prestwick in Scotland, the original Alps hole is blind from any fairway position.